The Pound New Zealand (GBP/NZD) exchange rate rose to around 0.5% today and is currently trading around NZ$1.9347 on the inter-bank market. 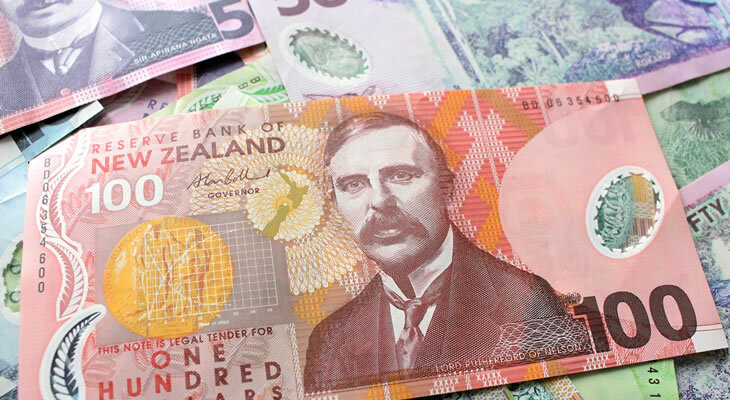 The New Zealand Dollar (NZD) fell against Sterling (GBP) today following last night’s disappointing NZIER business confidence figures for the first-quarter, which plummeted to -29%. This has weighed heavily on the ‘Kiwi’ as expectation of a rate cut from the Reserve Bank of New Zealand (RBNZ) is now expected in May. The Pound, meanwhile, has managed to gain on the weaker ‘Kiwi’ despite the UK being in a state of Brexit limbo, following on from last night’s parliamentary ‘indicative votes’ in which, once again, MPs rejected all alternatives to Prime Minister Theresa May’s withdrawal deal. Hopes have returned that there could be an extension to Article 50, which would delay the UK’s exiting of the EU and decrease the likelihood of a no-deal Brexit. These have been limited, however, by the French President Emmanuel Macron saying that an extension should not be taken for granted. Today, meanwhile, saw the publication of the UK Markit Construction PMI figures for March, which came in weaker-than-expected at 49.7. However, with Brexit developments in the spotlight, these went relatively unnoticed. The ‘Kiwi’ has been particularly affected by news that The World Trade Organisation (WTO) has cut its forecast for growth this year to 2.6% on the economic slowdown and trade conflicts between the US and China. With China being New Zealand’s closest trading partner, this has weighed on market confidence in the New Zealand Dollar. This gloomy forecast has seen the New Zealand Dollar drop against the Sterling today, as the risk-sensitive New Zealand economy is affected by indications of slowing global growth. Pound traders will be looking ahead to tomorrow’s release of the UK Markit Services PMI figures for March, and with any signs of an increase this could prove beneficial to Sterling. New Zealand Dollar investors, meanwhile, will be awaiting the ANZ Commodity Price figure for March tomorrow. These will be followed by the more significant Chinese Caixin Services PMI figures for March, and with these expected to increase, this could see the ‘Kiwi’ rise. The GBP/NZD exchange rate will, however, remain influenced by Brexit developments, and any indications that the UK could negotiate a possible extension with the EU – or May provides a more feasible Brexit deal – could see the Pound rise.